Are You Looking for a Chesterfield Painting Contractor? As a property owner, you know how important it is to keep your home or business looking its absolute best. At RVA City Painters, our Chesterfield painting contractors are here to help you with this responsibility. Our professionals are adept at all different types of property beautification services, including interior painting, exterior painting, wood staining, and power washing. 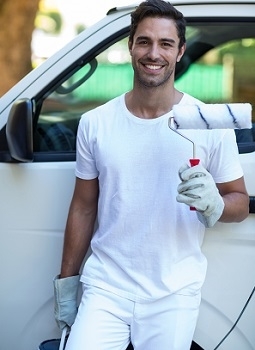 When you hire our painting contractors, you can feel confident knowing that you will receive the highest quality services that will be completely customized to your unique goals and needs. Our professionals are honored that you have trusted us with your property. We will work our hardest to honor your trust by treating our services as if we are performing them on our own home or business. 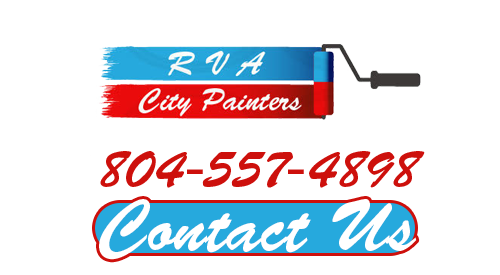 Call RVA City Painters today if you need to hire a professional painting contractor in Chesterfield. We would be happy to hear about your prospective project and to inform you about the many ways that our team of experienced painting contractors can achieve your goals. Our staff can schedule your appointment today. Painting the interior of your home or business is highly rewarding. In order to make the most of the effort, you should hire a professional for assistance. With the help of our interior painting contractors, your next project will be a resounding success. Painting a room is far more complicated than simply selecting and applying paint. Our professional house painters in Chesterfield, VA follow a meticulous process that will guarantee the best results. We can repair and prepare every surface to be painted. Our skilled painters have the capability of achieving any aesthetic or design that you desire. The exterior paint coat of your Chesterfield property is extremely important for two reasons. First, it provides the first impression that the community will form about your home or business. Second, it is a critical layer of protection between the interior of your property and the elements. Our Chesterfield exterior painting contractors can help you achieve the best looking exterior paint coat that will provide your home or business with the highest level of protection for the longest time period possible. By consistently achieving both of these attributes, our team routinely exceeds our customers' expectations. If you are looking for a dependable Chesterfield painting contractor then please call 804-557-4898 or complete our online request form.